Overmatch Precision Arms® is a firearms manufacturer purpose built to develop a truly unique rifle platform. Born out of the overmatch concept of being stronger, better armed, better equipped, and more powerful than one’s opponent – manifested by a larger caliber, infantry ready, battle rifle with versatility and more power without sacrificing weight, functionality, or familiarity. 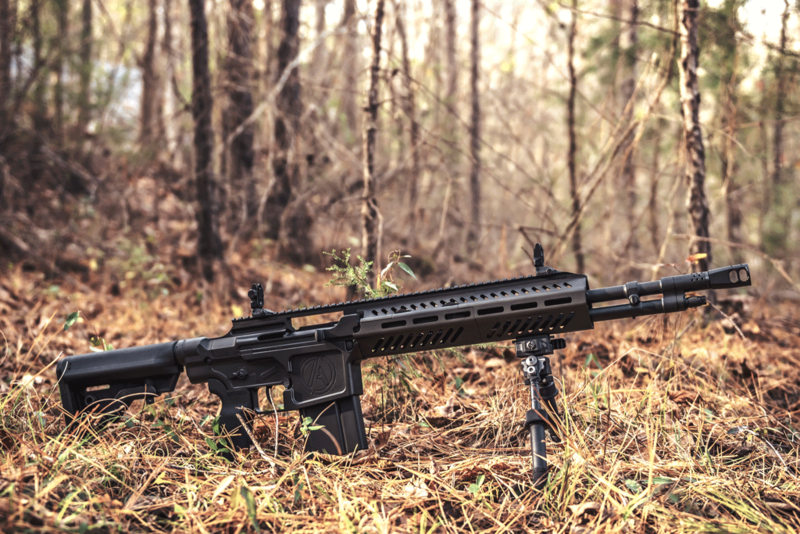 With a scrupulous focus on innovation, Overmatch Precision Arms has fused together the best of two legendary platforms - the M14/M1A and the AR-15 – into a single, rugged, modern rifle that is dependable, lightweight, accurate, and customizable. The result is the MK36® – the embodiment of the overmatch concept and a true Fusion of Legends™.